Alston has long been known for their community of artists, and Alston Aspire was established to make better use of St Augustine’s Church – which is right at the centre of Alston. A gallery was created in the church to offer an opportunity for artists to exhibit their work not usually seen in local shops and galleries. 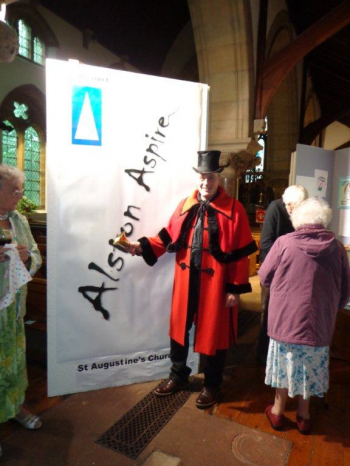 Funding contributed towards an the Alston Aspire Festival – an art exhibition, heritage displays, music events of all kinds and lots of art and music workshops. The main object was to get as many people as possible to the events, to look at the church as a community space and not just a place for worship – as was the case some centuries ago when the church was a centre for all sorts of activities.